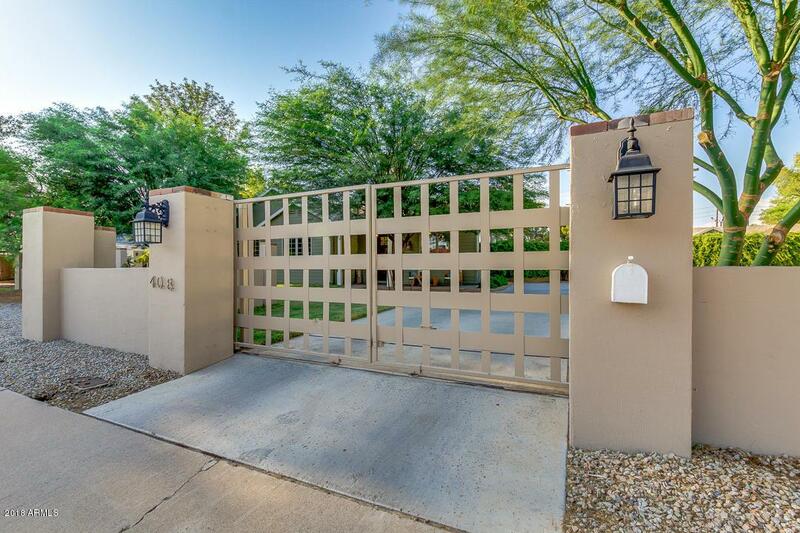 Gated North Central Estate nestled on an enormous 18,382 Sq. Ft. lot. Built from the ground up in 2012, incl. new sewers the 2,518 Sq.Ft. main house includes 4 beds.& 2.5 baths. Designed w/private areas for family & guests. The kitchen includes high-end Kitchenaid appliances w/professional chef's gas range. The open floor plan features two sets of beautiful stacking sliders - one from the dining rm. & one from the great room offering an incredible way to bring the outdoors inside & create an expansive space for entertaining or relaxing. The large master suite features a sep. shower & tub, dual sinks, walk-in closet & doors leading outside to the private cozy patio. Across the courtyard is the comfortable 720 sq. ft. guest house w/sep. living area, nice size bedroom & bath, walk-in closet &kitchenette w/brand new dishwasher. In addition to the wonderful living spaces is an oversized 672 sq. 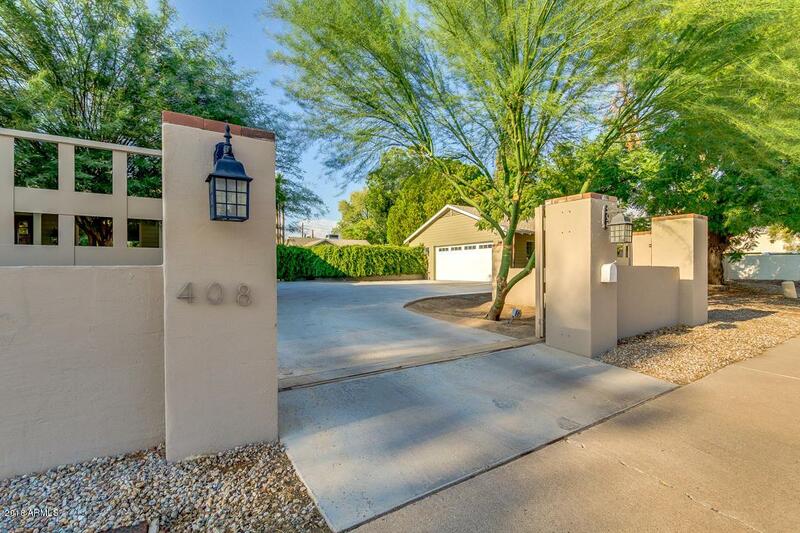 ft. 2-car garage & workshop w/vaulted ceilings. This property is so special. Words can't begin to describe the picturesque setting. Covered patios w/pavers off the main house as well as the guest house. 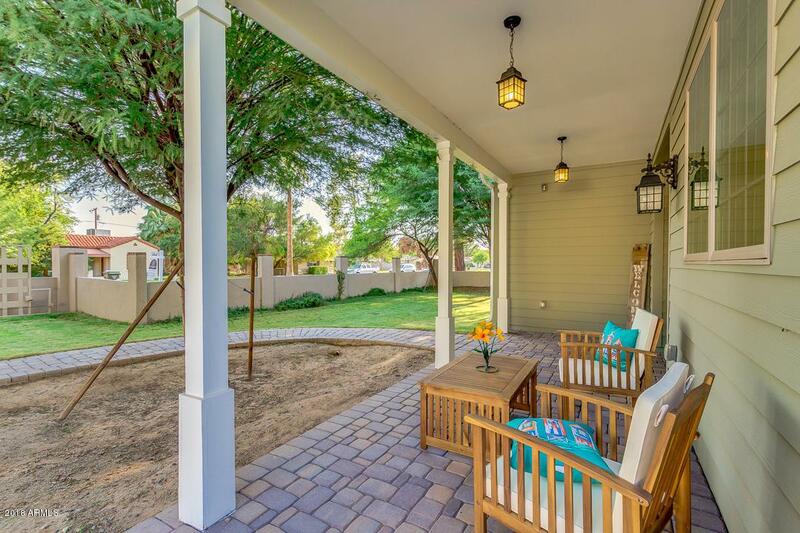 This property is filled with places to get comfortable, to get formal, to get quiet, to garden, to spread out, to feel cozy & to gather with friends & family. In the heart of the action. Enjoy being able to walk or bike to some of the finest dining venues, boutiques that Phoenix has to offer. Highly rated schools. 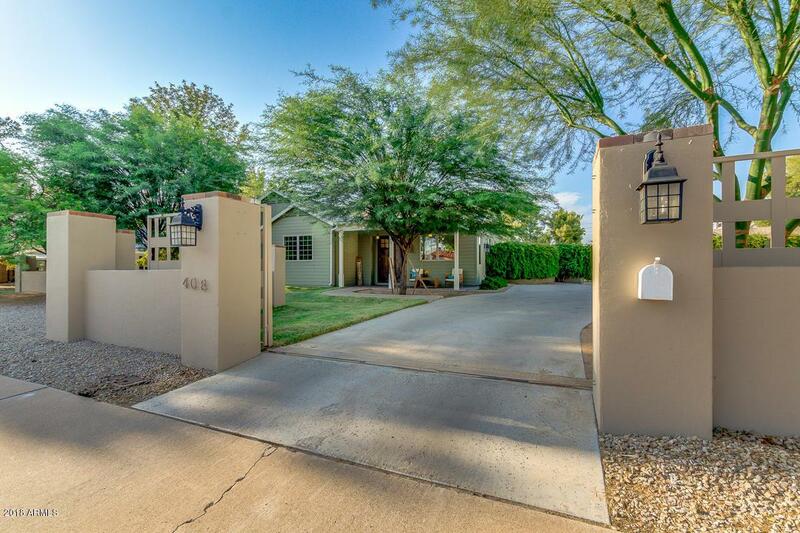 Easy commute to midtown or downtown Phoenix. Can even walk down the street to get a great spot to watch all the parades. Can't beat this location.